Claire Morris, with Tia, earned second place in her division of Market Beef Showmanship. 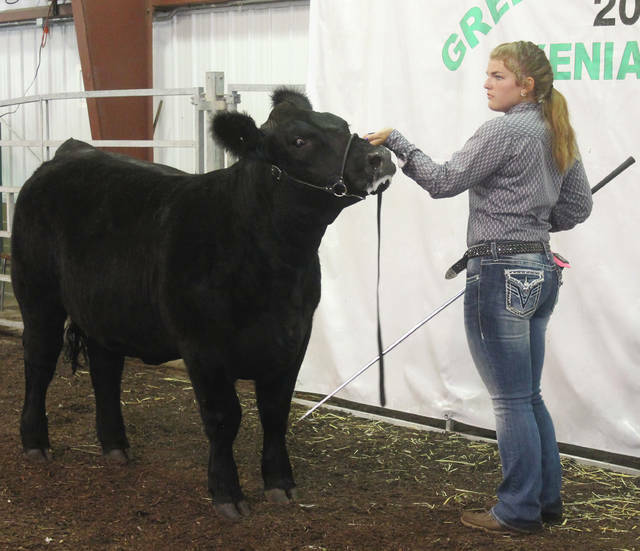 Anna Bolton | Greene County News Claire Morris shows her heifer, Tia, Aug. 2 at the Greene County Fair. XENIA — Claire Morris sang a song over and over in her head during Market Beef Showmanship Aug. 2 in the Cattle Barn. It was “Leaving New Orleans,” which Jordan Davis played two nights prior in the grandstands at sunset as he opened for rock-country band LANCO. For Morris, it was a tactic to stay calm and focused as she showed Tia, her heifer, in the ring. Morris said her history with Tia gives her a comfort-level advantage. Morris took second place with Tia during showmanship in Class 2 of the Intermediate Division and then again in Overall Intermediate. But not before she went neck-and-neck with Brandon Barr, who took the blue ribbon, during both shows. After the show, Morris, still alongside her black heifer, was all smiles. A member of Farmers and Friends 4-H Club, Morris has been in 4-H since she was 8, and started showing cattle when she was 6. Her family has seen their share of shows and county fairs. “We camp here. My whole family came out — my mom, dad, sister and brother,” Morris said. This probably wasn’t the last. “Next year, hopefully I’ll come here with my calf,” she said. And then the friendly competition will continue. 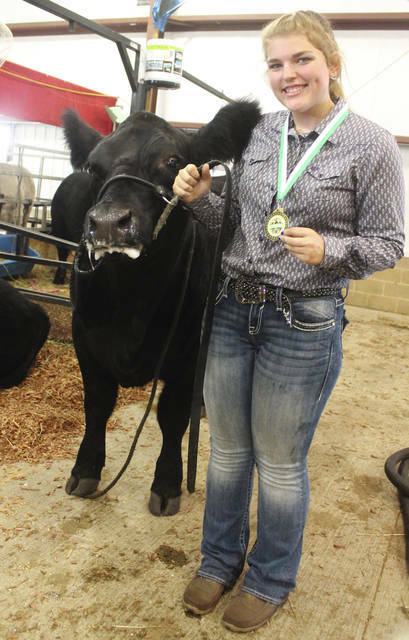 https://www.fairborndailyherald.com/wp-content/uploads/sites/50/2018/08/web1_ClaireMorris.jpgClaire Morris, with Tia, earned second place in her division of Market Beef Showmanship. https://www.fairborndailyherald.com/wp-content/uploads/sites/50/2018/08/web1_Morris2.jpgAnna Bolton | Greene County News Claire Morris shows her heifer, Tia, Aug. 2 at the Greene County Fair. 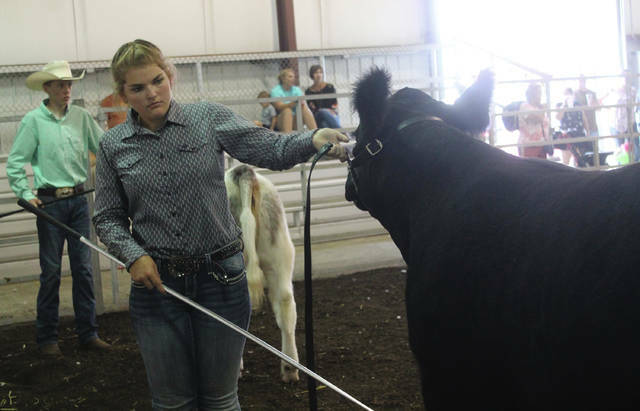 https://www.fairborndailyherald.com/wp-content/uploads/sites/50/2018/08/web1_Morris3.jpgAnna Bolton | Greene County News Claire Morris shows her heifer, Tia, Aug. 2 at the Greene County Fair.